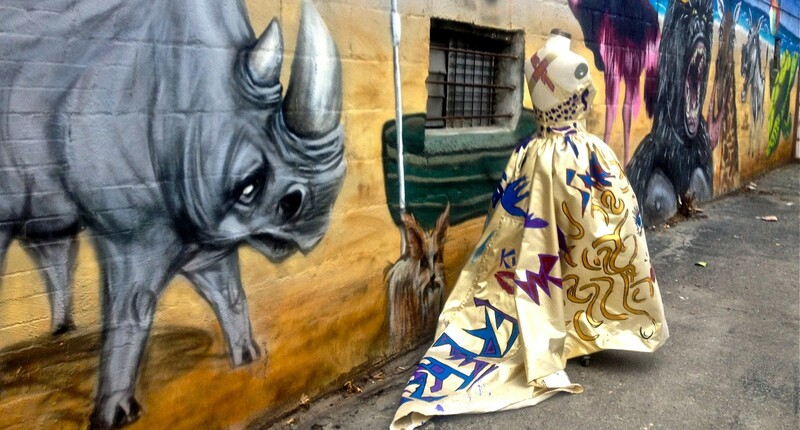 Have you ever felt like painting a graffiti mural on a beautiful gold lamé gown, then shooting it in the alley beside a mural? Well I have, & it is inspired by all the ephemeral art my eyes now see around me. So to thank Eric Vandersteenen, Director & General Administrator and Monique Deveen, Artistic Director & Main Photographer of the Free Tag Zone network for introducing me to a new passion, my second “Art Gown” is an FTZ Tribute Gown. 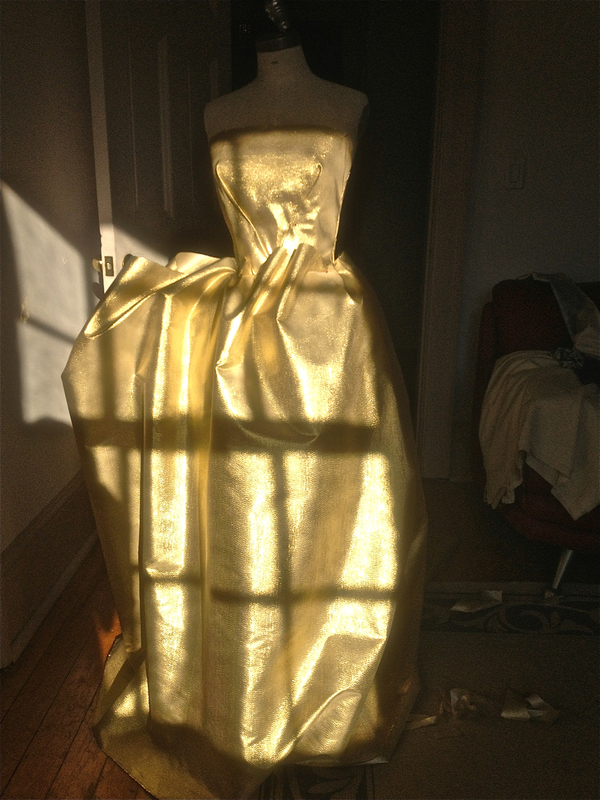 Of course, I needed a gold lamé gown to paint on. 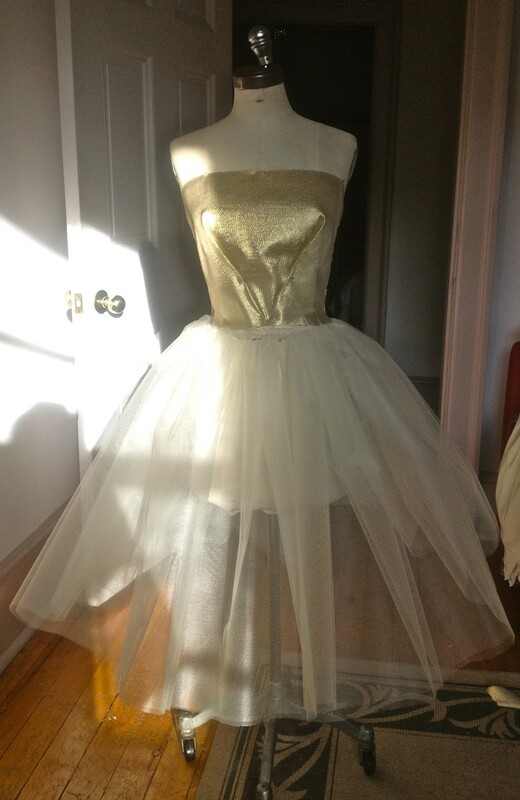 So I basted a crinoline onto Judy , and draped a bodice. The bodice has inverted waist darts set at a dramatic angle. 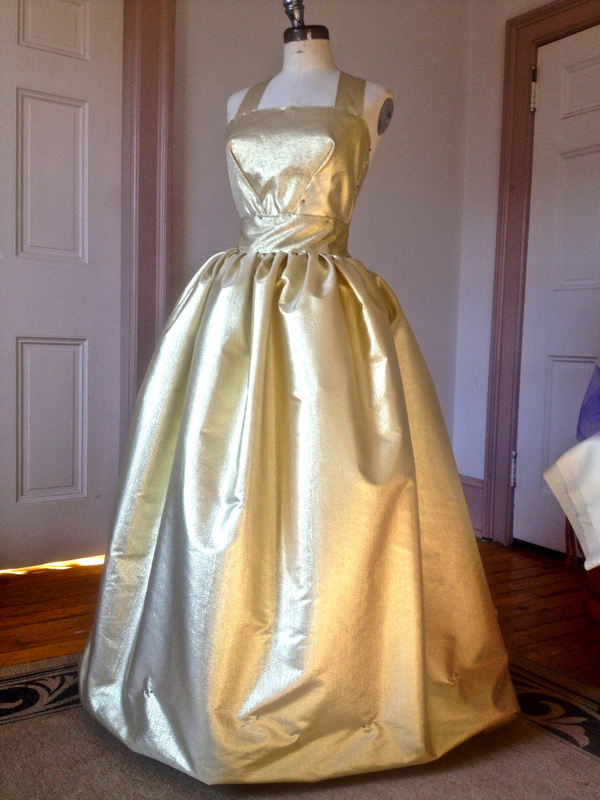 Then I gathered 4 meters of lamé over the crinoline. I basted the skirt to the crinoline. 5 centimeter wide straps were attached to the bodice, and crossed in the back. There was extra fabric which I draped into a tail. I just love gowns with tails. Draping the gown took only a few hours. I figured, I would have it painted in no time at all. I gave myself 2 part days. Three weeks later, I was finished. I hadn’t figured on my lack of painting ability, and the time it takes paint to dry! After a week I began talking to her. Her proper name is Free Tag Zone, but after awhile, I started calling her Freeta for short. Check out the KAT on the cross straps! KAT features Monique Deveen’s divine work at Louvain-La-Neuve. I really love this gown, and could not stop taking pics of her. Well, my tribute to FTZ is over, but ephemeral art lives on! Kisses to you Eric, Monique and everyone who is part of making FTZ such a wonderful experience! It was a very different creative experience for me, because of the painting. A lot of fun! it just looked like fun! You should see if a gallery will do a show. Thanks! Someone else said that. Interesting thought! they just have that look about them. I’m with Bill…my initial reaction and thought was WOW!!! Oh Boomie! Thank you so much! 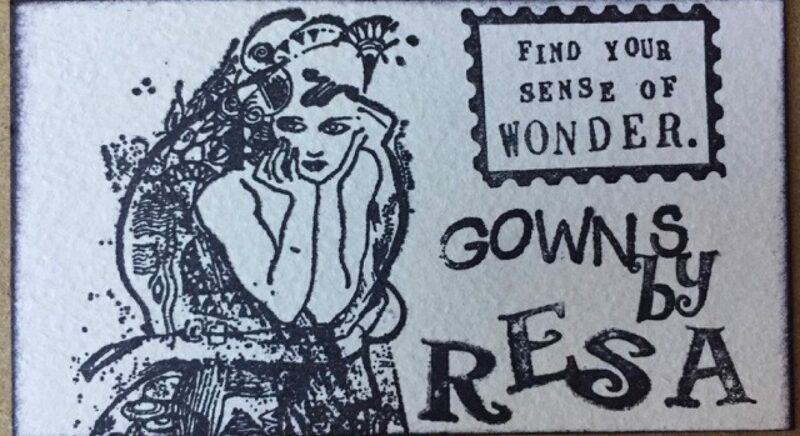 I guess my gowns are my poems. Thank you! Hugs to you and yours! I just love you! You get why I talked to her. Well, Freeta is partly basted together, and I will finish doing the rest before I take her off Judy. Thank you for caring Robyn! You are very special. I have been working 12 – 14 hour days, 6 days a week since Jan. 2. We shot a 1/2 hour comedy in front of a live audience on Friday. It was exhilarating, but I’m exhausted. Your images on FTZ are amongst the best I’ve seen. 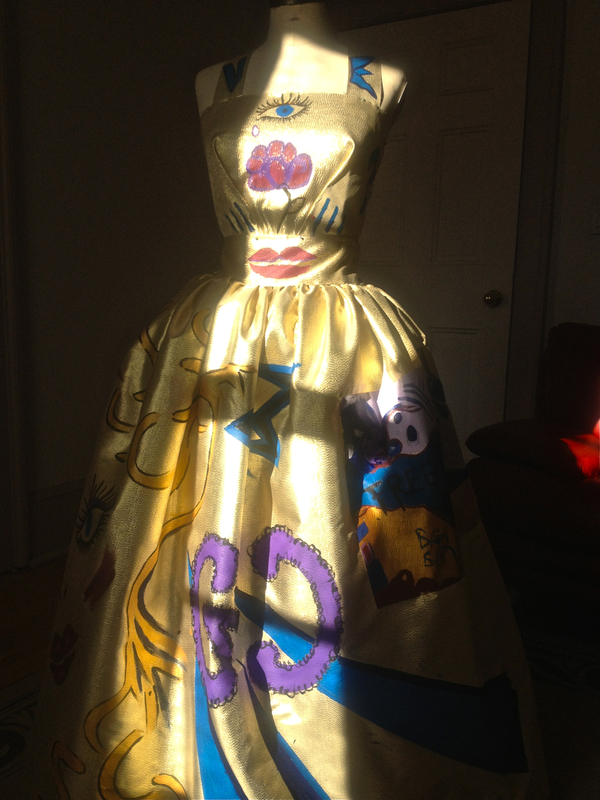 This gown is the perfect accompaniment to the artwork; and indeed, is complete artwork in itself…! Oh my goodness, Resa; you are going to so much effort…! All fabrics eventually get used when one designs clothes for a living. Oh yes, but of course…! That gown really is wonderful. Do you appreciate you must be the first to design this type of art…!?! Certainly a first to be associated with the murals… I’m wondering where this may lead…? Maybe it could lead somewhere. I loved making it!! Thank you, John! This was an exceptional project for me to complete. I talked to Freeta every day. Thank you Elisabeth! I have been truly inspired. Eric from FTZ has been most encouraging to me! Absolutely stunningly gorgeous. Amazing work. Thank you Boomer! That means a lot to me coming from you. Your Blog is amazing and so are you! Boomer… I’m an artist! Thank you, thank you thank you!!! 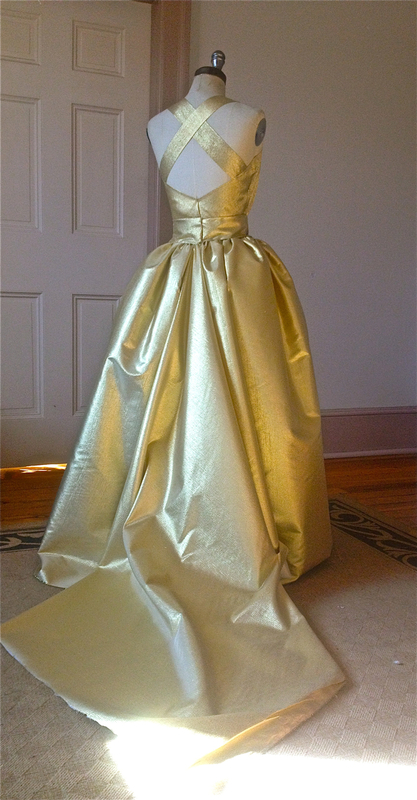 It was a joy to make the gown. Virginia, you are so kind! Wow, that’s so beautiful and how much work you did to create this stunning piece!! I am impressed. This is art, the real one 🙂 Congratulations, Resa!!! You are very kind to say that. I have used my talents to make $ for years and have taken my talents for granted, even not cared I had any talent. 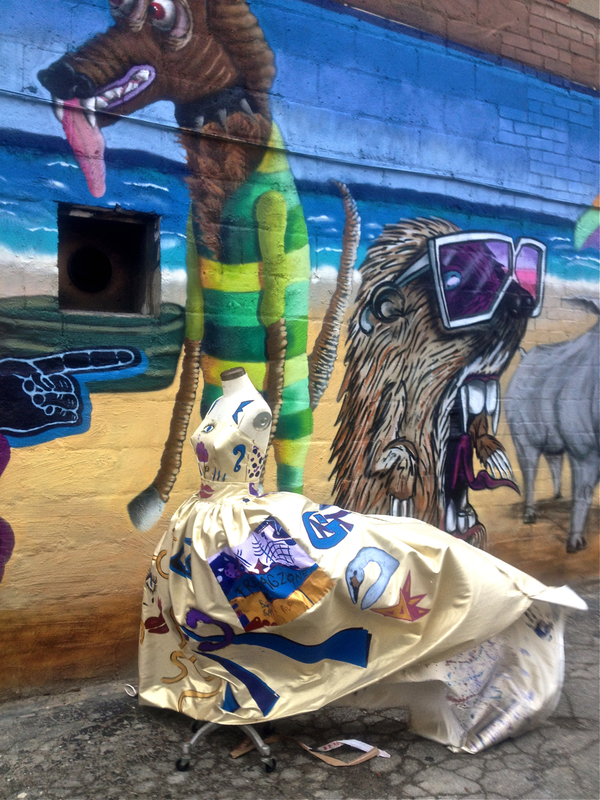 Emi, is there graffiti, murals, ephemeral art around you? In Prague there are several places with lots of murals and street art, but only a few artists are interesting to me, mostly unidentified, who produce some very good pieces now and then. I like to visit those sites often to spot new pieces before they get erased and photograph them. 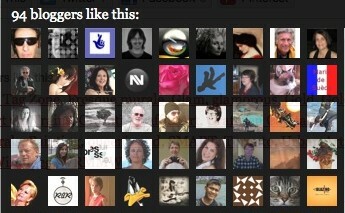 Those I like the most I publish on my phlog. I love street art! Spray painting is very hard to do. I wanted to spray paint my gown, but resorted to brushes. It seems like he is adept in many mediums. 😉 To never stop loving …. what a beautiful thought. I’m very happy things are working out positively for both of you. It is one of my most artistic endeavors. It was hard to paint, but a true joy! Happy Holidays to you, I will be over to the patio for a visit soon! Passion, inspiration, art, talent et créativité pour ce magnifique hommage à tout le travail de Free Tag Zone ainsi qu’à celui de nos “collecteurs de mémoire”, ces photographes qui explorent et découvrent pour “redonner à l’art éphémère toutes ses lettres de noblesse”, le montrent et le partagent avec le monde entier pour en préserver le souvenir. Bravo Resa et merci mille fois! 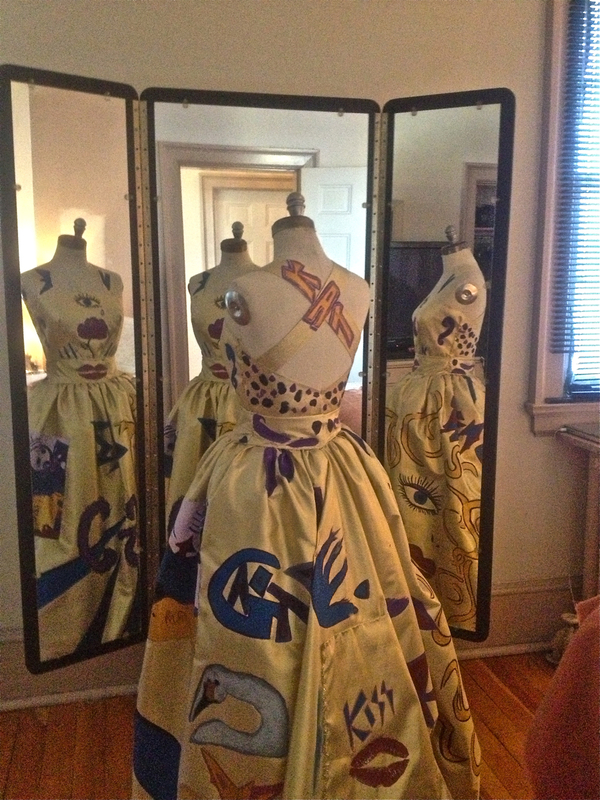 Making this tribute gown for FTZ was a pure joy. Taking pics of ephemeral art for FTZ network has added a richness to my life. Thank you for sharing your craziness with me! Stunning! You are absolutely amazing! How fun is that! Absolutely love the gown! Happy New Years! Thanks! the gown was a lot of fun to make. Happy New Years! I’m so glad you appreciate street art. You’re smart! 😉 Yes, ephemeral art appears outdoors on walls and will disappear, eventually. I found Free Tag Zone, I found anew passion. Thank you very much! Making this gown was a wonderful experience. Thank you! I’ll have an awards day soon. Thanks Subhan! 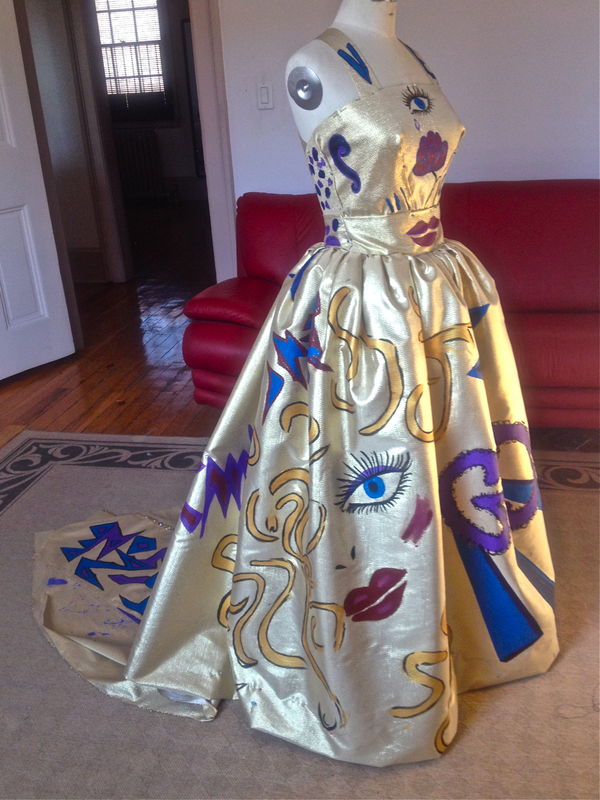 😉 The “Art Gowns are very fun and satisfying to create! wow. I love it when you talk design lingo. Or sewing lingo? I’m reminded there is a brilliant world of vocabulary that is utterly foreign. This was a beautiful project. Very very awesome. You are clearly very talented. Keep up the great work. Thank you! 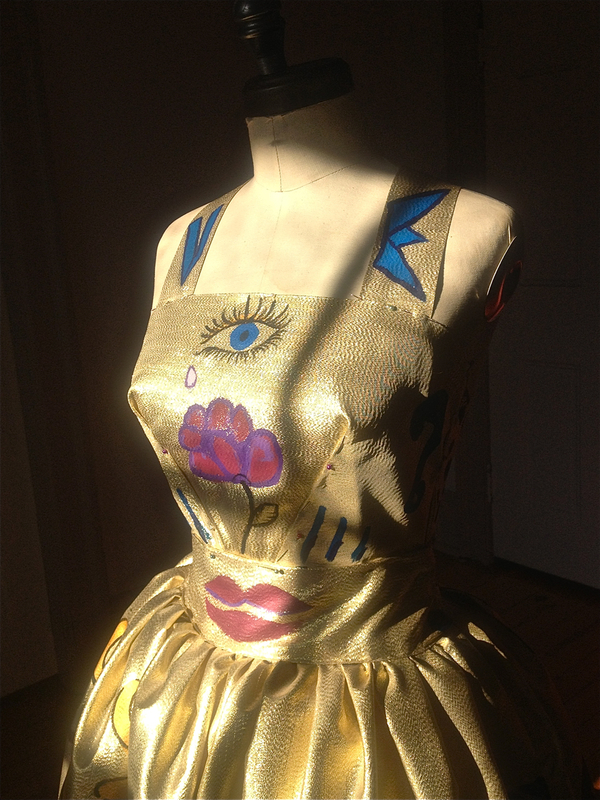 I’ve started a new “Art Gown”, however due to work it will be several weeks before Posting. I haven’t got the foggiest in this field, but it’s certainly different ( I guess that’s important?) and very catchy. I would certainly have noticed this creation on the red carpet! Thank you! I have more beautiful creations coming. I think something like this would appeal to the music word first. Cool dress! Very original. 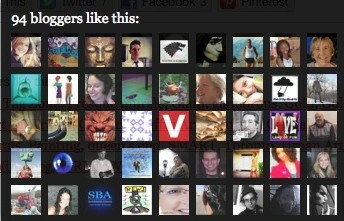 By the way, all the links you mentioned are protected so it is impossible to look at them. Have a great 2014 year! Yes it is unfortunate that the links are all now private. Thank you for reminding me so I can make them not hot when I get the chance! Graffiti it is, love it, love it! “LOL” It was a natural! I know you know this because you follow my Street Art blog, but not everyone over here on Art Gowns gets it! Not sure how I’ve missed all your recent posts, but it’s wonderful to see your work again. Love it! 😀 Thank you! 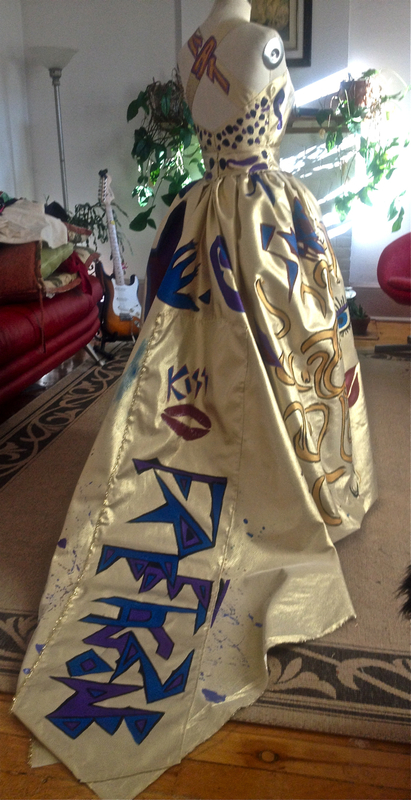 I have a new Graffiti Gown to post soon. 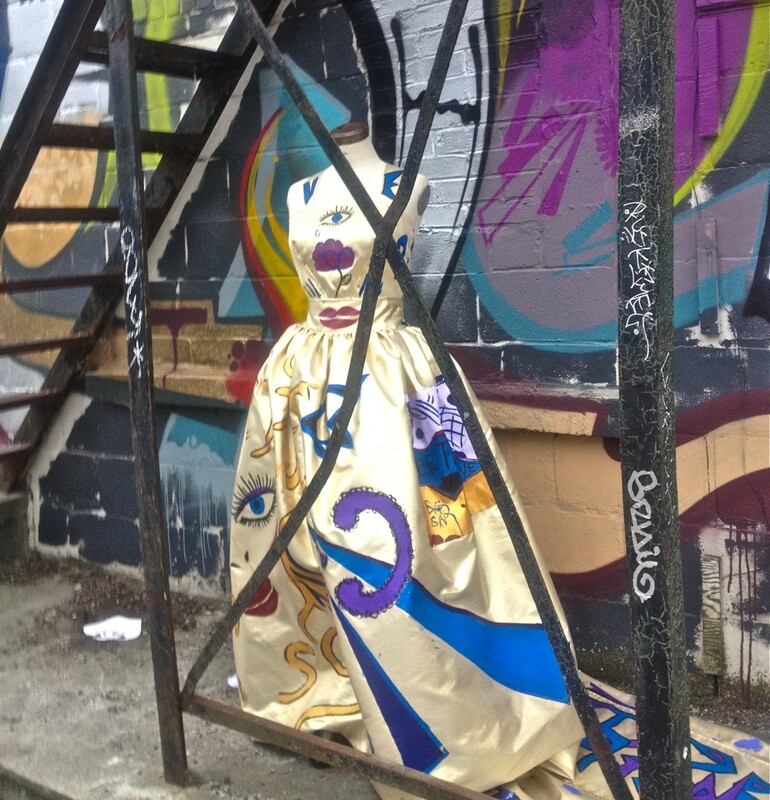 I took a gown to the alley and and a graffiti artist painted it for me. Your recipes are fantastic!!!! I love animals, but not to eat.